Drs. Eugene F. Morris and Armando A. Gama specialize in providing treatment for oral pathology issues at their Missoula, MT, practice. With a focus on diagnosis and surgical treatment of issues relating to the facial tissues and bones, we are equipped to identify and address a wide variety of conditions, including oral cancer. To learn more about how our oral pathology services can help you achieve improved health, reach out today and schedule an appointment. Oral pathology refers to the diagnosis and treatment of diseases affecting the tissues of the mouth, jaws, and their related structures. While conditions vary dramatically, visual and tactile examinations are key to identifying most of them. 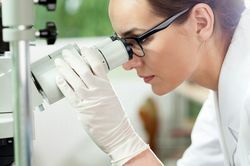 Examining biopsies of abnormal tissue under a microscope is often also essential to diagnosis. Most conditions fall into one of three categories: infections, cysts, or tumors. Bacterial: These infections can include gingivitis, periodontitis, hairy tongue, and complications relating to scarlet fever. Viral: Most patients seeking treatment for viral infections suffer from sores and blisters, or a case of mumps typically infecting the salivary glands. Fungal: Fungal infections of the mouth often occur in individuals whose immune systems have been compromised. Oral candidiasis is the most common. 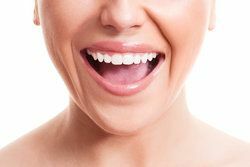 While the recommended treatment will depend on the nature of the infection, it often includes a course of antibiotics or diluted hydrogen peroxide mouthwash. Defined as an abnormal sac containing fluid or soft material, a cyst can develop for any number of reasons. They are frequently non-cancerous growths that resolve on their own. However, if the cyst remains for a long period, or if it is located in an uncomfortable place, it can be removed surgically. Often, this vastly improves comfort levels and may alleviate breathing problems or ease speech. While oral pathology can cover a wide range of diseases and conditions relating to the mouth, the most common focus is the diagnosis and treatment of oral cancer. With nearly 45,000 patients diagnosed every year in the U.S., oral cancer is a common condition. However, early diagnosis and treatment significantly improves a patient’s prognosis. Treatment is recommended according to the type of cancer, whether it has spread, how treatment may affect speech or swallowing, and the patient’s overall health. Diagnosis usually consists of a thorough visual and tactile exam of your neck, jaw, and mouth. Your doctor will look and feel in and around your mouth with a gloved finger. But if there is a possibility of problems deep in the throat, your doctor may use mirrors or fiber-optic scopes for a closer look. If the exam reveals abnormalities such as lesions, sores, white or red patches, painless lumps, unusually thick lining in the mouth or skin, or sensitivity during the exam, the doctor may request a biopsy. Samples of the abnormal tissue are removed for more thorough examination under a microscope. Patients will typically learn their results within three to five days. Surgery: Surgery is best suited to early-stage cancer. Depending on the growth, surgeons may remove the tumor, nearby lymph nodes, or other cancerous tissue. Often, a tissue graft from another part of the body is used to reconstruct the affected area. Because it is performed on the face, mouth, and neck, this therapy often changes a patient’s appearance to some degree. Radiotherapy: Radiation can be used to kill cancer cells. If the tumor is small and has not spread to other parts of the body, this may be sufficient to stop its growth. Radiation is often paired with surgery to lower the risk of remission. Chemotherapy: Chemotherapy involves a course of cytotoxic (cell-killing) drugs. While it cannot cure the cancer, it can substantially slow tumor growth. Because of the intensity of this treatment, it is usually only recommended after other treatments have failed. Here at Oral Surgical Associates, we strive to provide prompt and attentive service to all of our patients. If you would like more information on the types of oral pathology we treat, or wish to schedule an appointment, contact us today.